Sometimes, the ideas that stick with readers the most are the simplest. That doesn’t mean authors should dumb down their writing; it just means they should consider using fewer words, breaking apart complex sentences, and/or setting down the thesaurus once in a while. When your words flow in a more conversational way, your readers will thank you for it. Because the formulas that assess readability can be difficult to understand, there are several websites available to help, including Read-Able.com, which determines readability using several benchmarks. 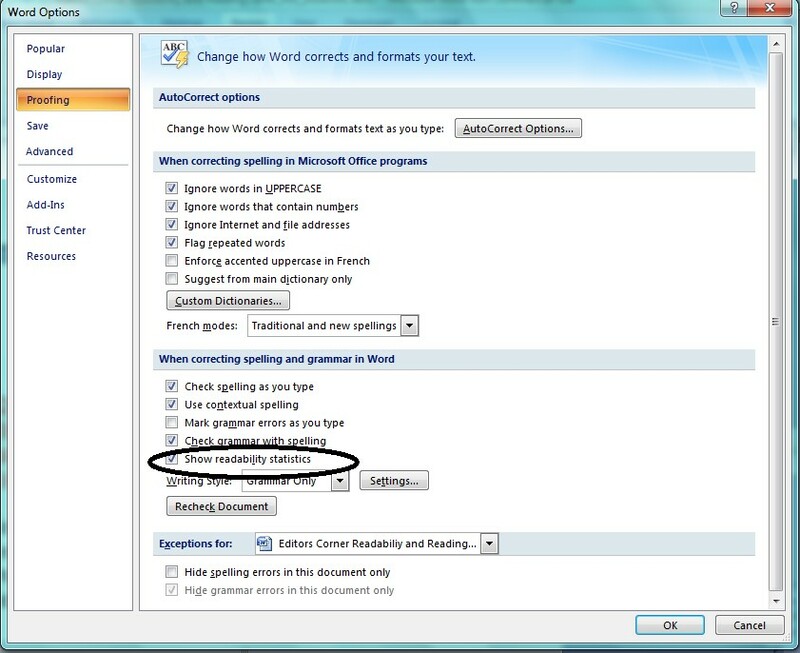 Did you know you can also use MS Word to check your text’s readability? It isn’t nearly as complicated as you might think! After Word has run a check for spelling and grammar, a box will appear detailing the statistics that make up the readability of your document, including the counts of words, sentences, and paragraphs and the average number of each. 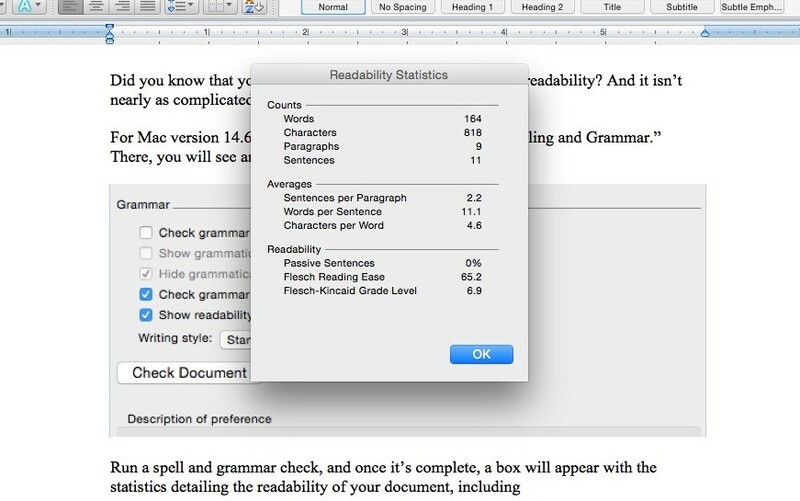 After Word has run a check of spelling and grammar, a dialogue box displaying the readability statistics for your document will appear. See? Just like we promised: simple! Once you’ve checked your text’s readability score, use that score to determine if your writing is accessible to the audience you’re trying to reach. If so, wonderful! If not, ask yourself if there’s a simpler way to say what you mean—without sacrificing your unique voice as an author.